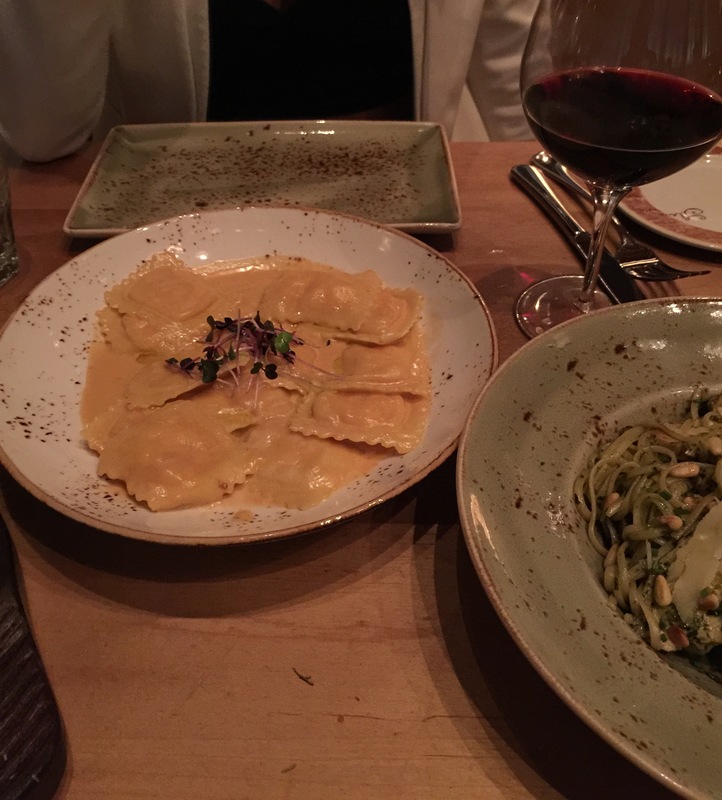 While recently in Toronto we visited a great Italian restaurant called Cibo Wine Bar (Pronounced Chee-bo) on King West. It is awarded with a Marchio Ospitalita Italiana by the Italian government for authenticity. Cibo Wine Bar brings authentic rustic Italian flare blended with a vibrant nightlife and has become the new hot spot in the stylish King West neighbourhood of Toronto… So we went to check it out. The restaurant is very stylish and modern but with a nice homely feel to it, as we entered we were greeted by the very friendly staff and shown to our seats. 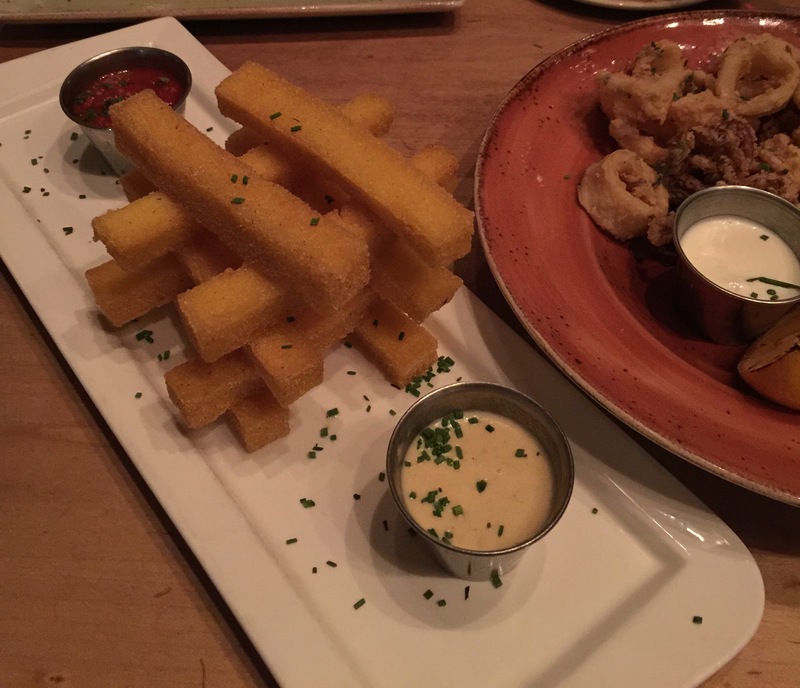 For starters we had the polenta fries with gorgonzola dip and fried baby squid rings with garlic mayo and spicy marinara dips. 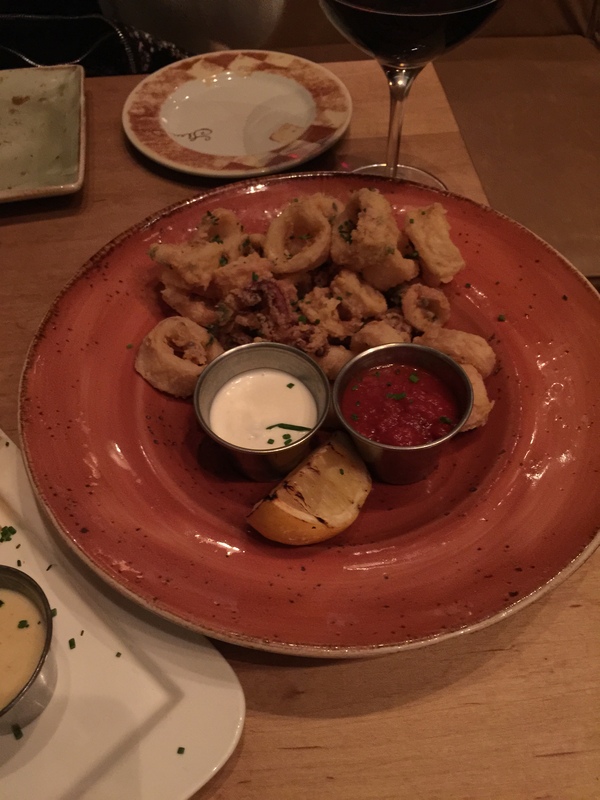 The polenta fries were amazing crispy on the outside and fluffy on the inside and the gorgonzola dip was delicious, the calamari was cooked perfectly, light and crisp. Polenta is such an unused ingredient, it has an amazing flavour and texture and can be used in lots of different ways and should be used more in restaurants. For the mains we had Ravioli stuffed with lobster, lemon, béchamel and lobster cream sauce, and Linguine, grilled chicken, pesto, parmigiano reggiano, extra-virgin olive oil. The lobster ravioli was divine, one of the best ravioli dishes we have ever had, packed full of flavour and would definitely recommend. 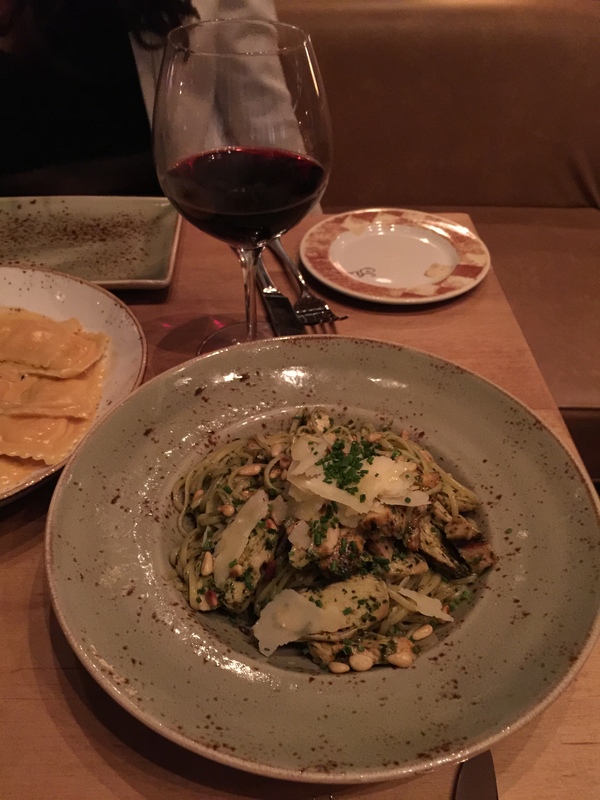 The linguine was very tasty with pesto and grilled chicken which all married very well together and was a great choice very light as a dish. The prices were very reasonable and as portion sizes were very good and great value for money. This truly was one of the best Italian restaurants we have eaten at and the choice on the menu was fantastic, something for everyone. Definitely worth a visit whenever you’re in Toronto. Thanks Cibo. 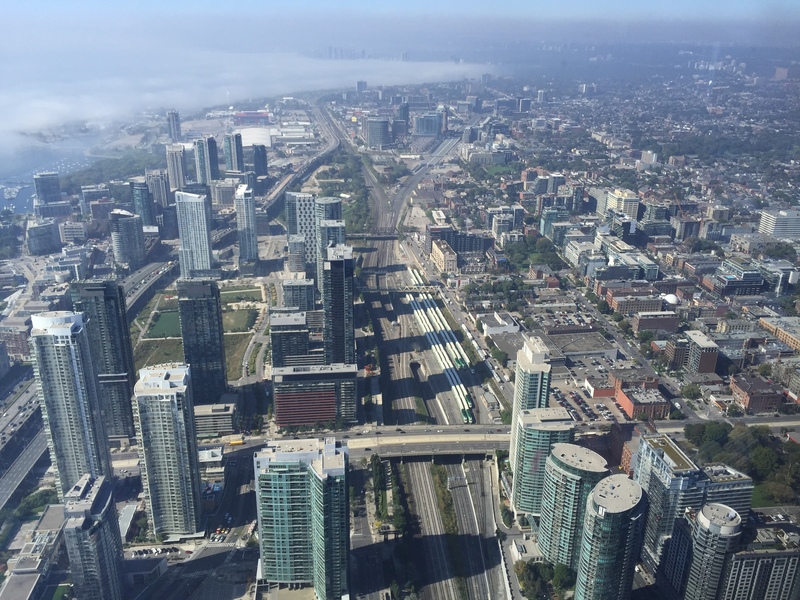 A favorite is a trip to the top of the CN telecommunications tower, which at 1815ft high gives wonderful views over the city and lake. Also recommended is a trip to Casa Loma castle with its intriguing secret passages and 800ft underground tunnel. Toronto is a vibrant and lively city, with a lot to see and do. Also not to be missed is a trip to the spectacular Niagara falls, on the Niagara river between Lake Eyrie and Lake Ontario. Peller Estates Winery features tours, tastings, an extensive winery boutique and award-winning vintages. Make your visit extra special by tasting rare vintages in The Estate Room and by traveling to the underground barrel cellar. Peller Estates Winery Restaurant features lunch, dinner and group dining experiences. Award-winning chef and CityLine personality, Jason Parsons creates locally-inspired cuisine that marries perfectly with the wines of Peller Estates. 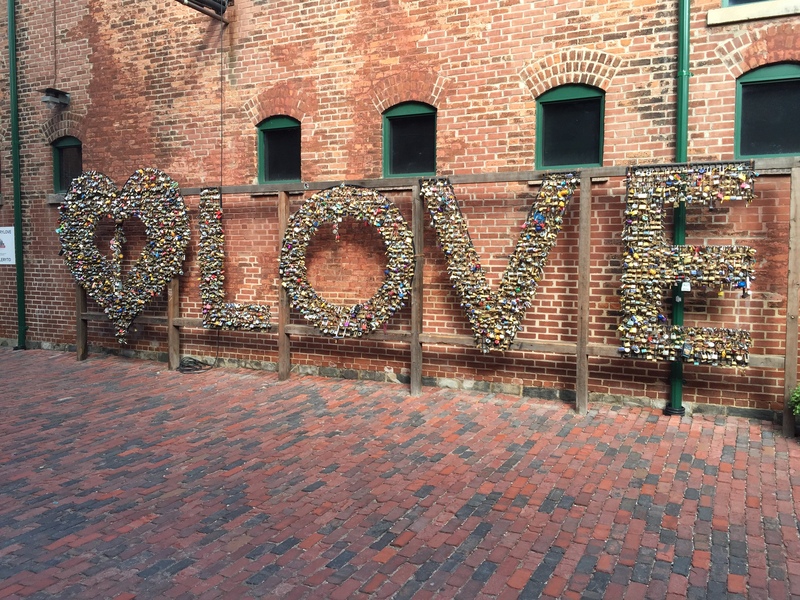 Distillery District, once home to the largest distillery in the British Empire, Toronto’s restored Distillery District features the continent’s best-preserved collection of Victorian Industrial Architecture. It’s a stunning backdrop for the local restaurants, design stores, cafes and art galleries; most of which feature post and beam finishes, amazing natural light and expansive ceilings. Don’t miss the Case Goods Warehouse, home to local artist studios, custom jewellery, crafts and workshops. Yorkville, Toronto’s original bohemian enclave in the 1960’s, has long given way to designer boutiques, high end hotels, restaurants to see and be scene and a seemingly never-ending parade of Mazzeratis and Ferraris dotting Cumberland and Yorkville Avenues. International fashion fiends will find all the major labels here including Prada, Gucci, Boss, Escada, Chanel, Hermes, Louis Vuitton and more.